Seronera Jacket Pattern by Sansahash - PLUS your chance to win a copy! This is the Seronera jacket by Mgeni of Sansahash. What I love most about Mgeni's designs is that they are very child friendly and wearable. You'll sew her patterns and your child will actually WANT to wear these clothes. Seronera is no different! 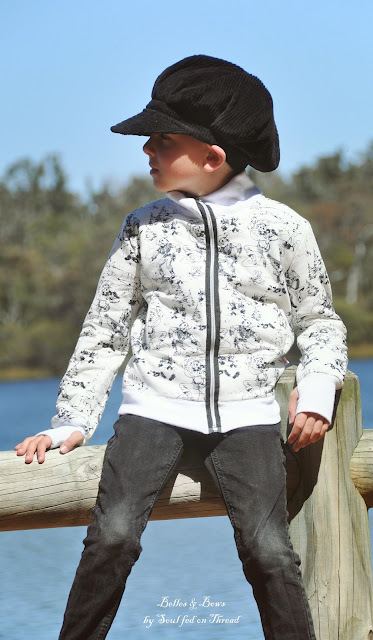 This unisex design comes with two different looks, sporty - as my daughter is wearing or long (with the narrower waistband) like my son is wearing. With layered pattern pieces for grading and printing ease, getting the perfect fit is easy as pie. Optional welt pockets and thumb holes for the cuffs add fun and practicality to this design. The jacket is faced, so is relatively lightweight. A sewist with some skill could fully line the garment if they chose. The pattern requires intermediate sewing skills in my opinion. Welt pockets and zippers into knit fabrics can be a challenge - however, with the clear instructions it is possible for everyone to have a go! 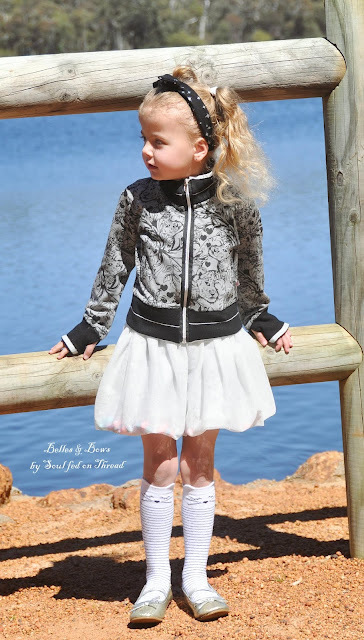 This PDF pattern includes sizes 6 months to 12 years approximately, available in English and Dutch. Want to win your own copy? All you need to do is comment on my blog post and then head over to the Sansahash Seronera blog post and comment there to go in the draw to win! Easy peasy folks! While you're there, don't forget to visit all the other amazing bloggers! Need more inspiration? Join the Sansahash Facebook community HERE. Want the pattern now? Visit Sansahash HERE.